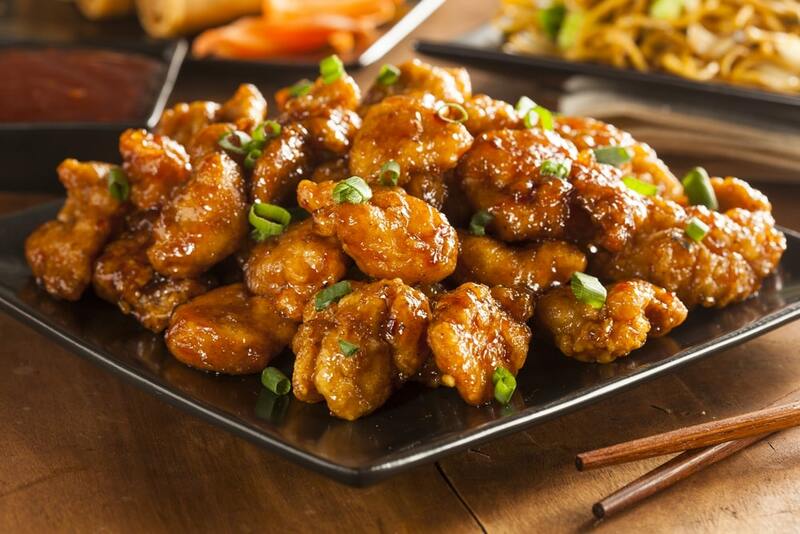 Orange Chicken: This Chicken Recipe is very easy to make often found in Chinese restaurants and it can be ready in just 30 minutes. It’s fully loaded with flavor with crispy on the outside and sweet, tangy from inside. 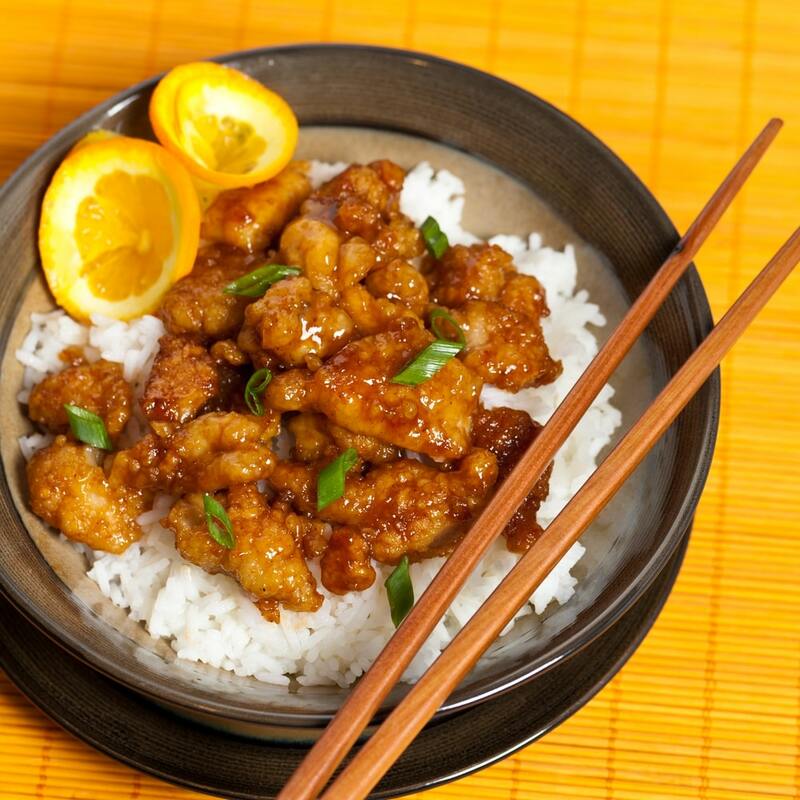 Serve this delicious orange chicken recipe with steamed vegetables and rice or salad and enjoy your weeknight meal with your friends and family. 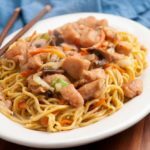 You will get that salty, sweet, and sour blend from the vinegar, sugar and soy sauce and there’s some another taste that you will get from the ginger, garlic, and onion. 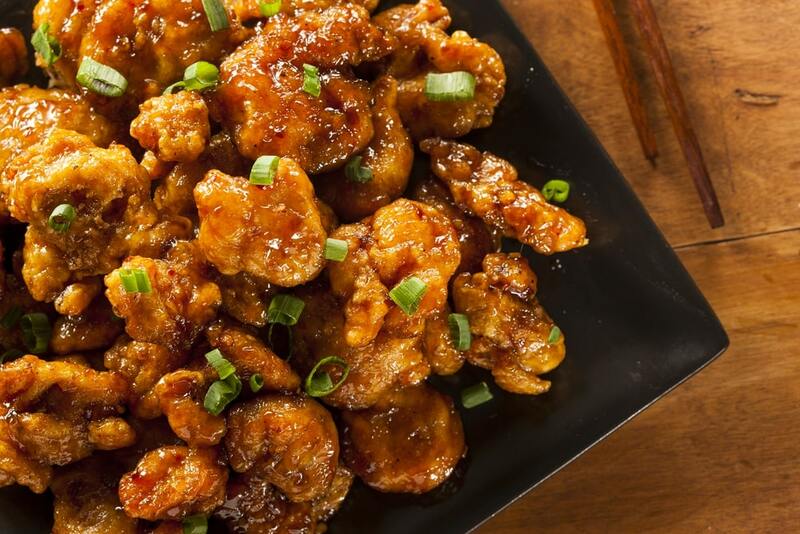 I am making this Easy Orange Chicken recipe by deep frying the chicken but yes, to lower the calories i recommend fry it on a pan with less oil. It’s totally upto you, if you want that extra crispiness then deep fry it or else just pan fry. 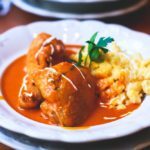 How to Make Orange Chicken Sauce? 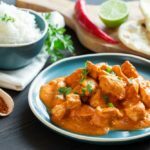 Orange Sauce is the main ingredient here that makes this recipe so good! It is super easy to make. Basically, it is a mixture of soy sauce, sesame oil, crushed red peppers vinegar, sugar, and orange zest. Once you make this recipe I am sure everyone in your family will love this! And after taking the first bite, your family member will request to make this recipe again and again. So mouthwatering! Grease your crock pot with cooking spray. 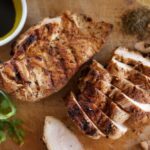 In a skillet heat 1 tablespoon olive oil and brown all chicken pieces for 2 minutes each side. On the bottom of the crockpot, place chicken breasts one next to another, and season with salt pepper. 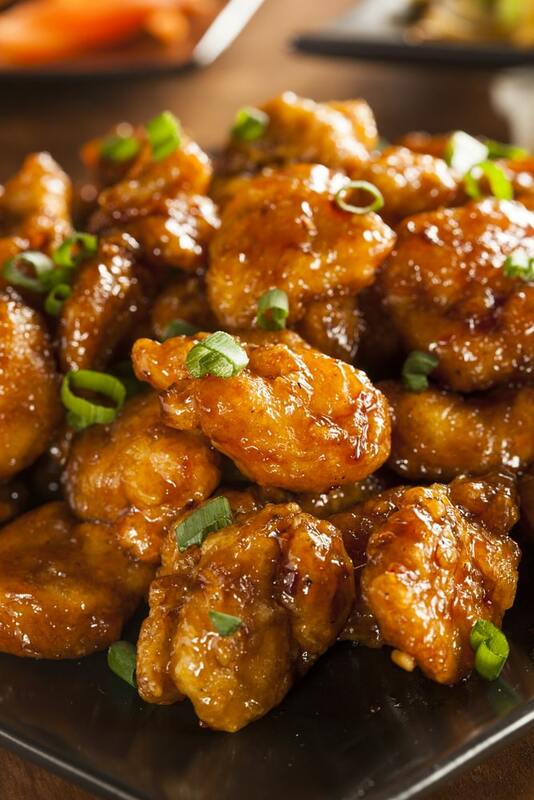 In a mixing bowl, combine orange juice, soy sauce, orange preserves, garlic and ginger and mix. Cover and cook on HIGH for 2.5 to 3 hours or LOW for 4 to 5 hours. Now prepare the sesame seeds in the meantime. Heat the sesame seeds in a frying pan over medium heat about 30 seconds shaking the pan frequently. Set aside. Remove the chicken and transfer to a plate. Spoon the remaining orange sauce over chicken. Garnish with sesame seeds and serve with rice. Turn your Instant Pot to saute then add 1/2 -1 tablespoon oil once it reads “HOT,” and let it heat for 1 minute. Add in chicken and saute for 2-3 minutes until just browned. Add in orange zest, brown sugar, orange juice, rice wine vinegar, soy sauce, ginger and garlic to instant pot. Set the button to “high pressure” and set your timer for 7 minutes. Turn off the instant pot and Let it naturally release the pressure for 5 minutes. Then do a quick release. Again Turn Instant Pot back to saute. Make a cornstarch mixture by mixing cornstarch with 2 tablespoons water. Add the mixture to pressure cooker and stir and boil for 2-3 minutes. Serve with cauliflower rice or Instant steamed rice. 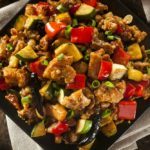 You can serve your orange chicken with rice or maybe Fried Rice but make sure to use long grain basmati rice because it gives you that extra flavor, and if you are following a low carb diet then substitute fried rice with cauliflower rice. Set your saucepan over medium-high heat and pour orange juice, lemon juice, rice vinegar, 1 1/2 cups water, and soy sauce. Stir in the orange zest, ginger, garlic, brown sugar, chopped onion, and red pepper flakes. Bring to a boil and then cool down for 10 to 15 minutes. Now pour 1 cup of sauce over the chicken pieces and refrigerate at least 2 hours. In another bowl, mix the salt, flour, and pepper and add the marinated chicken pieces to coat. In a large skillet heat the olive oil over medium heat and brown the chicken pieces on both sides. Drain on a plate lined with paper towels. Now add sauce to the the skillet over medium-high heat and bring to a boil. Prepare a cornstarch mixture by mixing together the cornstarch and 2 tablespoons water and stir into the sauce. Add the chicken pieces, and simmer, about 5 minutes, stirring occasionally. Heat the sesame seeds in a frying pan over medium heat about 30 seconds shaking the pan frequently. 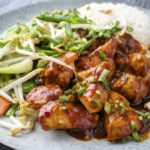 Garnish with sesame seeds and serve with cauliflower rice or steamed rice. 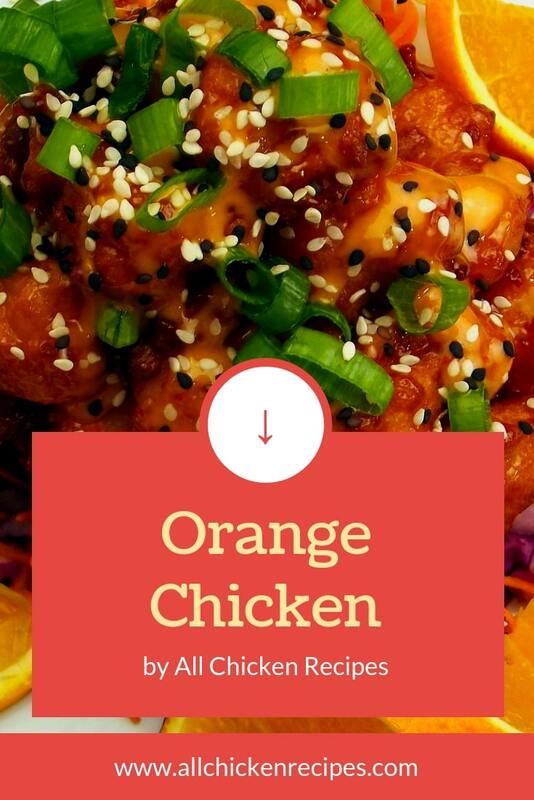 So, Guys, I hope you enjoy this Easy Orange Chicken Recipe which I make on weekly basis. 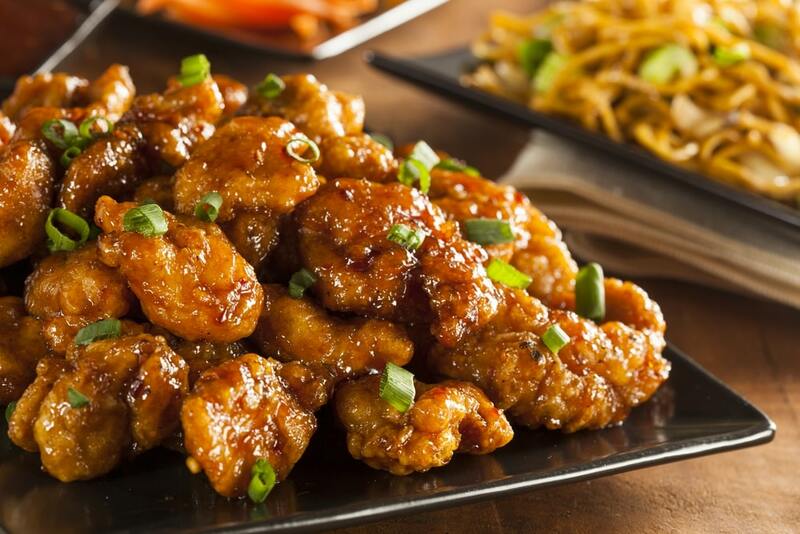 All the chicken lovers who are looking for Orange Chicken will enjoy this recipe. 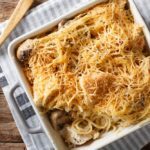 And if you like this recipe then Don’t forget to share it with your friends on Pinterest, Facebook, and other social media platforms. And do follow us on facebook, twitter, Pinterest, Tumblr, and Instagram.